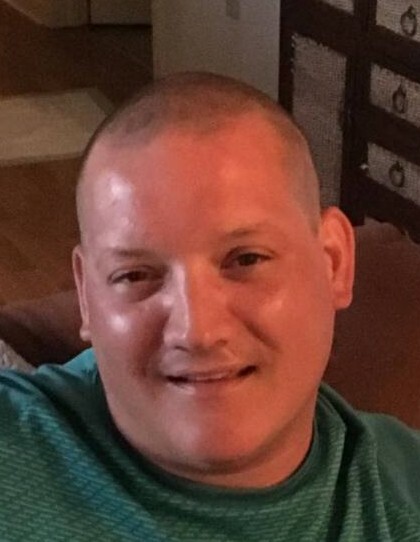 Farmington/Manchester - Eric R. Clarke, 38, died suddenly on Thursday, September 20, 2018, at his home. At the request of the family, all services will be private. In memory of Eric, in lieu of flowers, please consider donations to Happy Tails Animal Shelter at the Ontario County Humane Society, 2976 County Road 48, Canandaigua, NY 14424. Eric was born the son of Michael and Tina Clarke on Saturday, November 17, 1979. Eric was raised in the Manchester area, graduating from Red Jacket High School. Eric was an outdoorsman enjoying, fishing, golfing, kayaking, and especially hiking with his beloved dog Mini. For the last 13 years, Eric loyally worked for Nick and Gus Kokkinis at Critics Restaurant in Honeoye Falls, where he was treated as a part of their family. Eric will be remembered by his mother, Tina Clarke; brothers, Jason (Kimberly) Clarke and Corey (Tommy Sanders) Clarke; niece and nephews, Jackson and Grace Clarke, Hunter and Alex Williams; several aunts, uncles, and cousins. Eric was predeceased by his father, Michael Clarke, paternal grandparents, Melbourne (Mike) Helen Clarke; maternal grandparents, Gino (Mary) Liberty.